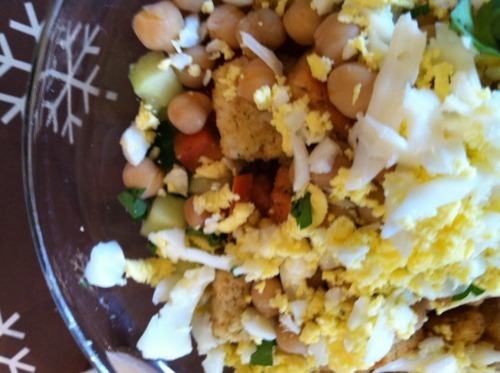 Chickpeas | Izzy have you eaten? Yesterday wasn’t such a perfect weather day for the Boxing Day cricket, but the Sant guys were game, and went with our lot to the Melbourne Cricket Ground to watch Australia play India. The Cattapans came to dinner so they could meet our American friends who had come to spend Christmas with us. To complete the picture, Tasha, visiting from Perth, came over in the late afternoon and hung out with us. How lucky our family feels to be with all these people we love. Your Melbourne is really the central hub, Izzy! Anyway, what to feed a tired mob from a day at the cricket? I thought a soup, as an antidote to our Christmas day feasting. Something piquant and light, but filling too. The pozole I made seemed to hit the spot. 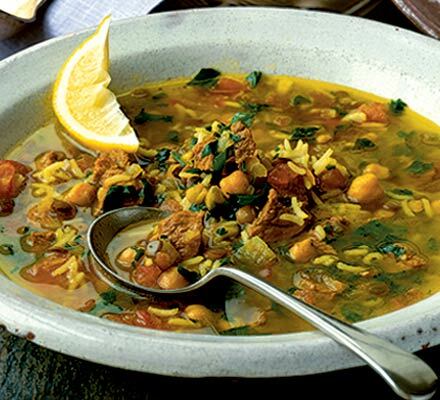 You should have this recipe: it is a slow cooked meal, something you could put on the stove when you have a long evening at home working on a project or studying. 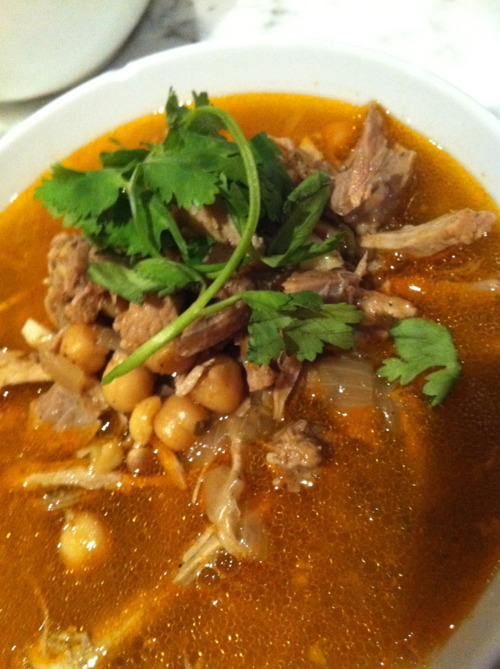 Pozole is a Mexican soup, traditionally made with a pig’s head(!) but don’t worry, these days it is usually with a piece of pork shoulder. It should be a hunk of pork which is fatty ( yes, I know you hate fat, but it cooks the meat sweetly and prevents the meat from drying out. The fat is discarded at the end anyway.) The first time I cooked Pozole, it was for a Virginia Living magazine article I was writing. There was a hominy article I was researching so including a recipe using the grits seemed like a good idea. Traditional pozole (pronounced ‘pot- zolay’) includes hominy grits but sometimes they are hard to come by, so I substitute with chickpeas. Cook the pork and skim the scum off the surface. Turn the heat off for the stock pot. When the meat is cooled, shred in thick pieces, discarding any fat and bone. Relight the soup and when it begins to simmer, add the meat, and the sautéed onion and garlic. Ladle soup over a bowl of raw green cabbage, and other diced vegetables.